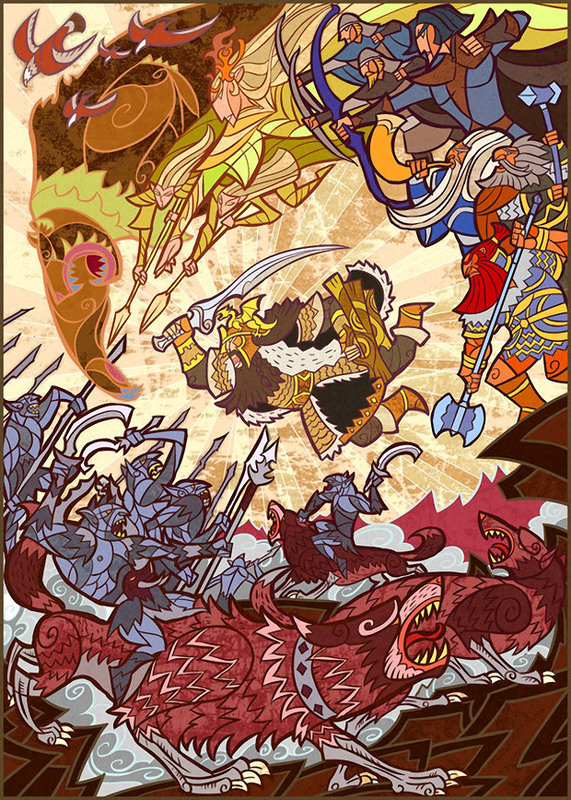 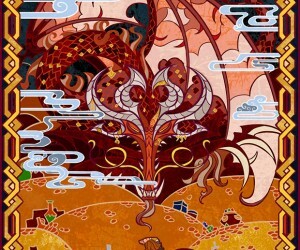 This wonderful artwork by Jian Guo illustrates scenes from the J.R.R. 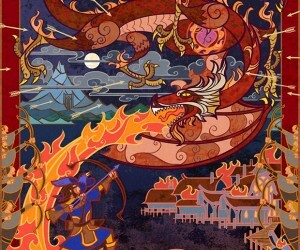 Tolkien novel, The Hobbit. 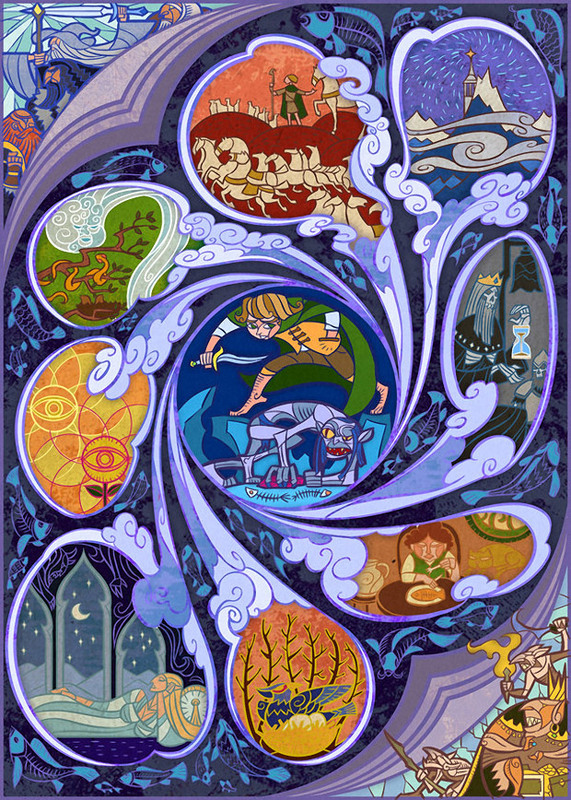 Riddle (above) shows the game of riddles played between Gollum and Bilbo. 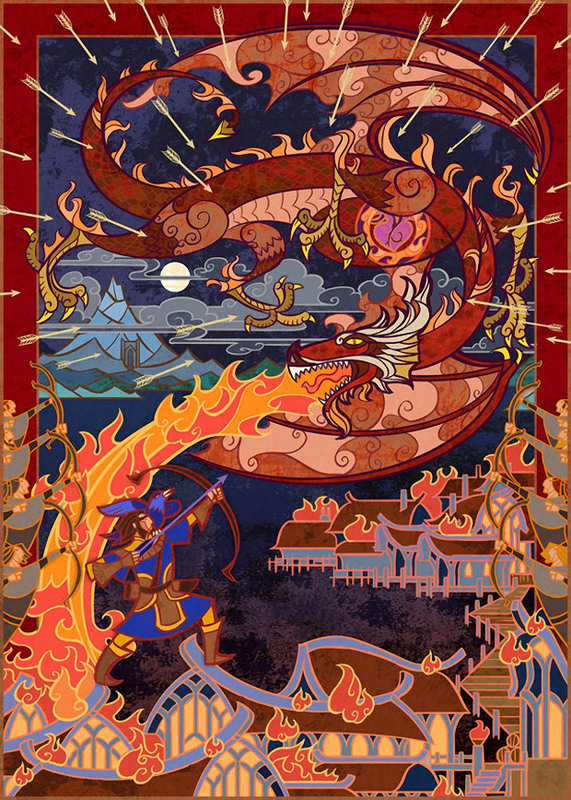 Bard with Black Arrow shows Smaug being felled by the archer, Bard. 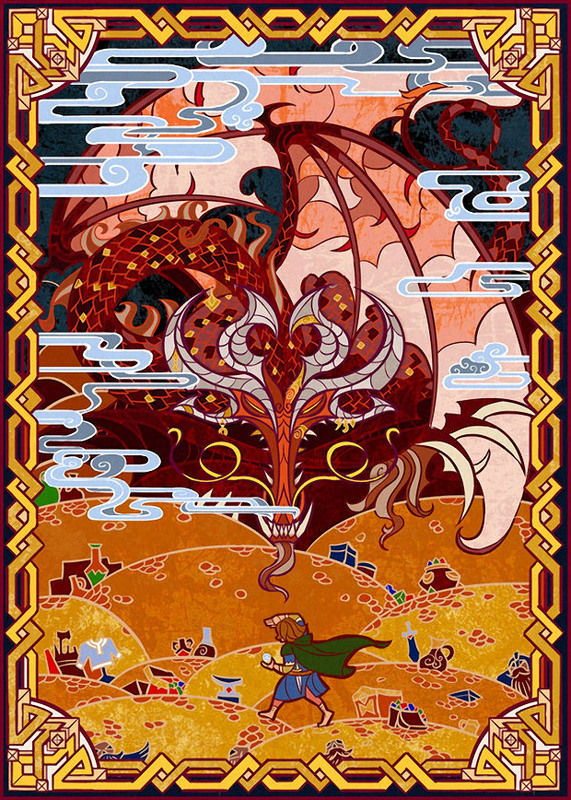 Nest of Smaug shows the stunning treasure room lair of the dragon Smaug. 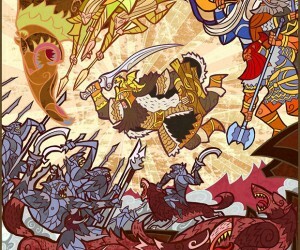 And The Battle of the Five Armies illustrates the battle waged between the Goblins and the Wargs against Men of Dale, Elves, Dwarves, and Eagles on and near the Lonely Mountain.